Most people understand the benefits of good health and good nutrition. One of the best ways to add nutrition to your diet is to drink a nutritious smoothie. There are different style blenders that can whip up and create smoothies made with almost anything including fruits, vegetables, yogurt, honey, or just about any other healthy ingredient. Smoothies are very easy to make as long as you have a good quality blender. Some of the more professional type machines include Vitamix, Omega Breville, Oster Pro and Ninja just to name a few. There are two different style blenders on the market today. One is a hand blender and the other is a counter top blender. Having a good quality blender will save you a lot of time as you prepare your smoothies or other food items such as salsas. Before you choose a blender you should make sure you understand which type of blender is perfect for your particular needs. Most retail outlets and online outlets have a large selection of blenders to choose from. This article will discuss a few of the features to consider before purchasing the best blender. The first thing that you will have to decide is whether to choose an immersion or counter top blender. Obviously, a counter top blender is designed for your counter top. It will have a large container option that attaches to a stand. It will also have a variety of blender accessories that can help you to blend everything from your delicious smoothies to nutritiously made, homemade baby food. A quality blender will also be able to crush ice which can be a very handy feature when entertaining friends and family. A hand-held or immersion blender is sometimes called a stick blender because it has a long stick-like handle with a rotating blade on the end. 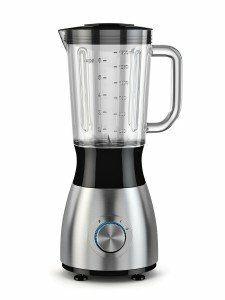 This type of blender is great for blending various ingredients in bowls or glasses. It is often used to purée sauces or soups and to froth up a milkshake or blend a drink. These two types of blenders do overlap in relation to specific jobs that they can do but each type of blender is also designed for specific types of blending. The next important consideration that you will have to make when choosing between different style blenders is the wattage/horsepower of the motor. The blender will have two different types of horsepower. One is the peak maximum horsepower while the other is the rated horsepower. Do not be fooled by advertisements that advertise a peak horsepower because it may seem powerful but it may not be. A peak horsepower is when you simply turn the blender on. A rated horsepower is when the motor is actually in use. It is better to look at the wattage because this will show you exactly how powerful the blender motor is. Finally, take a look at what controls are available on different style blenders. The cheap blender units will only have two controls, in other words, just a high and a low setting. 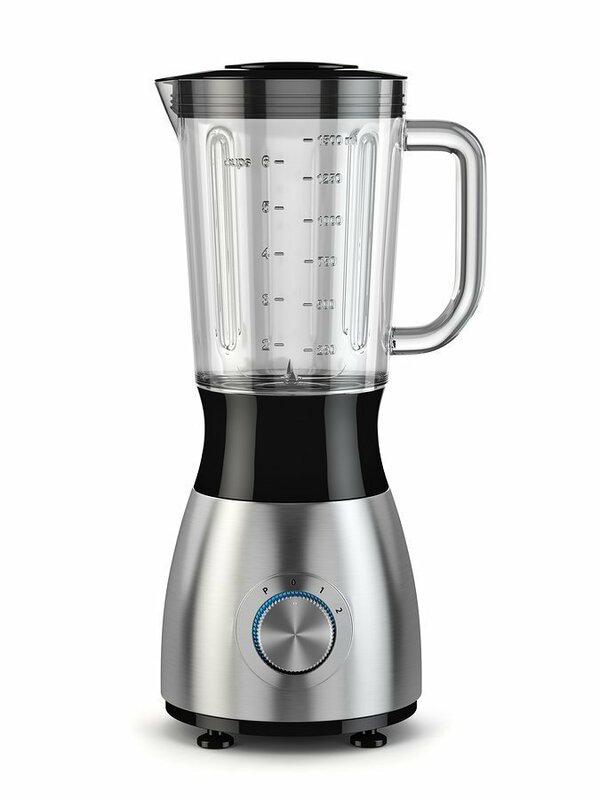 The best blender will have a 1 – 10 speed control option. It will also have a pulse control. Whichever blender you purchase will obviously depend on what type of blending you plan to do. Therefore, buy only a blender that is perfect for you. This obviously depends on what you like to cook, and how many you like to cook for! If you like making soup, an immersion blender is great. You can still blend soup in a countertop blender, but it’s best to wait for it to cool down first, so immersion blenders are more convenient! However, if you’re really into making smoothies, a countertop blender is more efficient. If possible, maybe a combination of both will work well for you! There are many different style blenders and models available today. What you end up choosing will depend on your preferences. We’re here to guide you to make the best choice. Our site is here to help you find and learn about the best blenders and other home appliances for your particular needs. To give you some advice, like any home or kitchen appliance, you get what you pay for. You are better off spending a little more money on a quality name brand blender model than some knock off brand that will not last. Although there are a variety of different style blenders available online today, not all of them are necessarily up to scratch! Be sure to do your research and do comparisons between different brands before you make a firm decision.